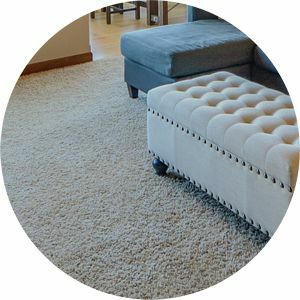 Family owned and operated, Steam-A-Way of Nebraska has delivered high quality, professional carpet and furniture cleaning services in the Omaha area since 1996. While other carpet cleaning companies have cut costs by using inferior and unsafe chemicals, we pride ourselves in using only the safest and highest quality carpet and furniture cleaning products available. Our state-of-the-art, truck mounted, hot water extraction cleaning method has proven over the years to be by far the best and most powerful method for cleaning carpets, floors and furniture. Our hot water extraction method has always been recommended by the largest carpet manufactures. The manufactures know that this method gets carpets cleaner, keeps them cleaner longer, and prolongs the life of the carpet more than any other method of carpet cleaning. All of our technicians are highly trained professionals, providing the care and attention to detail our customers deserve. Our technicians stay current with their training and the latest cleaning technology. Every cleaning is followed by a quality check phone call to ensure you love your freshly cleaned floor. You can feel confident when you call us. We stand behind our work with a 100% satisfaction guarantee. If a spot comes back, so will we.